Once again a new iPhone has been released and once again Apple breaks worldwide records in terms of units sold and shipped. 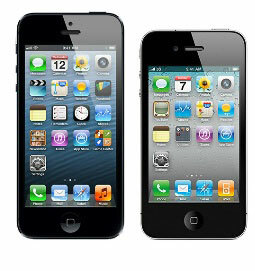 Is the new iPhone 5 that good or have the consumers become so excited by the hype and marketing surrounding any new major Apple product that they purchase it regardless of its quality? We think that the new iPhone 5 deserves the entire buzz created around it, so here are some of its new features that distinguish it from the previous smartphones. Probably one of the most talked about new feature, the iPhone 5’s new screen size is something that has been long anticipated and deservedly so. With the increased usage of smartphones for reading, media viewing or game playing, Apple couldn’t remain behind its competitors in screen size and decided to offer its users the best experience mobile has to offer. App developers are going to be excited by the new opportunities available to them on the new iPhone and users are going to be mesmerized by the quality and clarity of the new iPhone 5 apps. If taking pictures faster and better HDR capabilities are not enough, the new panoramic mode available on the new iSight camera will surely delight even the most exigent fans. Truth be told, there were plenty of apps available in the app store that previously let you do this –for free or at a cost – but integrating the function with the default iOS is a nice bonus that comes with an improvement in performance. Although there is a lot of controversy in the media about the accuracy of the new Apple Maps, and surely there are a couple of tweaks that have to be fixed and features to be added before we can fully compare the Apple Maps to the previous Google maps, there is no doubt that in terms of design and aesthetics the new Apple Maps that come with the iPhone 5 are going to wow you. Probably the best executed native app that comes pre-installed with iOS 6 on the new iPhone 5, Apple maps might be able to become a market leader if they manage to fix the small bugs that caused them lot of negative feedback in the traditional media. If there is something that Apple has long been known for that is innovation and making its users life easier; the new Passbook feature encompass all those values. Passbook allows you to keep track of all your tickets, boarding passes, and countless other small documents in an organized and easy retrievable way. Using scan codes, you can present your boarding ticket at an airport directly from your iPhone 5 Passbook application without the need to print a hard copy. With the increase in time people spend on social networking and the increase in time people spend on their mobile device, a marriage of these two different worlds was inevitable, and Apple pioneers once again this field by giving you complete integration on your smartphone. The iPhone 5 is now home to your email, your facebook, your twitter and your phone, and everything is beautiful controlled from a central setting system. What more can you ask for? Dexter is an iPhone developer working for Appnific, an offshore iPhone app development company. In his spare time he is an Apple enthusiast and has a personal blog reviewing the best iPad Speakers on the market.